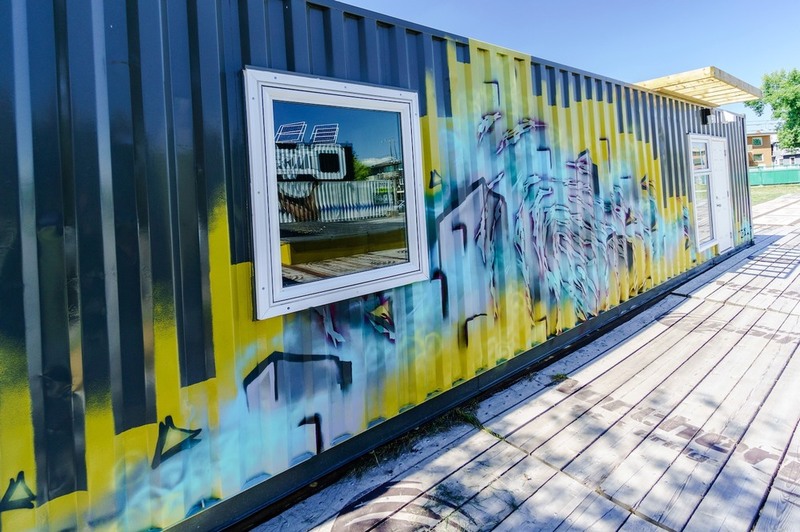 containR by Springboard Performance, is features an Art Park and mural installations made of retrofit shipping containers. 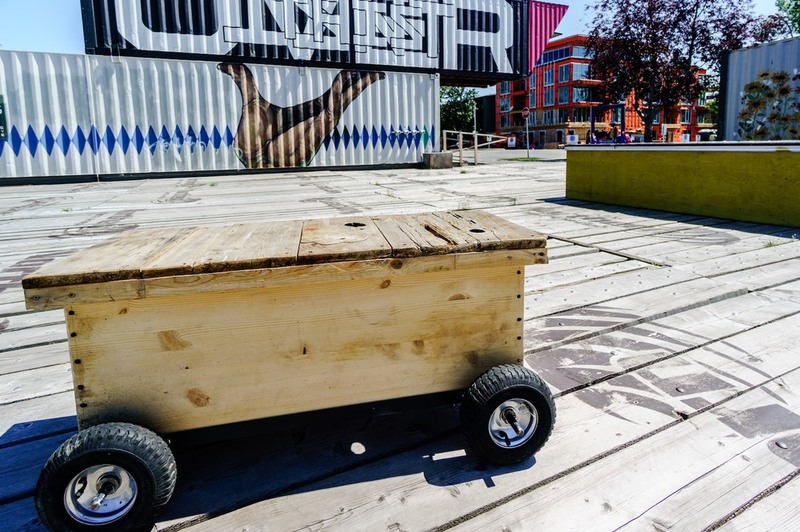 Connecting communities through art and creative ideas, containR is distinctly Calgary, a vibrant meeting place and an experiment in cultural placemaking. containR premiered at the Vancouver Winter Olympics where we featured Alberta artists to the world. It has gone on to animate communities in Calgary at East Village, Sunnyside, Marda Loop, Victoria Park and Forest Lawn. containR was awarded the Colin Jackson and Arlene Strom Creative Placemaking Award at the Mayor’s Lunch for Arts Champions, and has been featured at the IETM Conference (Bergamo, Italy), CINARS (Montreal), Calgary Arts Congress (Calgary), and York University’s Arts, Placemaking, and Policy Conference (Toronto). 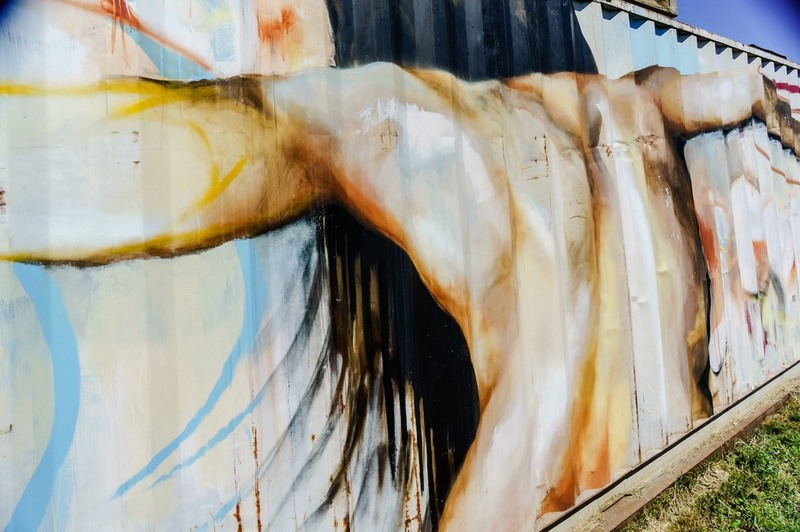 containR is a pop up arts and culture hub for people of all ages – championing a 100-mile diet of creative community ideas – developed by Springboard Performance. Together with partner Hillhurst Sunnyside Community Association we brought containR to the Triangle site on the corner of 9th Street and 2nd Avenue NW. containR is the first city permitted Art Park in Calgary and the land it sits on the first brownfield (empty lot) to be returned to community use in the city. containR has grown. We have more shipping containers, an open air theatre, a courtyard made of re-purposed rig mats, public furniture, moveable seating, sculptures, a little library and a permaculture garden. containR wants you and your TERRIFIC ideas! containR is a place for people to be experimental and share what they are doing. We are calling on neighbours, local businesses and organizations to share ideas and get involved on site. If you have a brainstorm that you would like to stage at containR we want to hear from you! We welcome arts programming, gardening and community activation ideas that will make containR a convivial fun place for all people. Rent containR for a special event or collaborate with us on an activity! I have a brainstorm, where do I start? We're excited you're interested in containR! It is a place for anyone who wants to join our creative play - performers, artists, makers, community builders, neighbours, innovative thinkers, placemakers, permaculture enthusiasts, and urban growers. Want to support art and community engaged activities and place making initiatives at containR? Consider making a donation dedicated to public furniture, artist programming, permaculture garden and mural art and more!